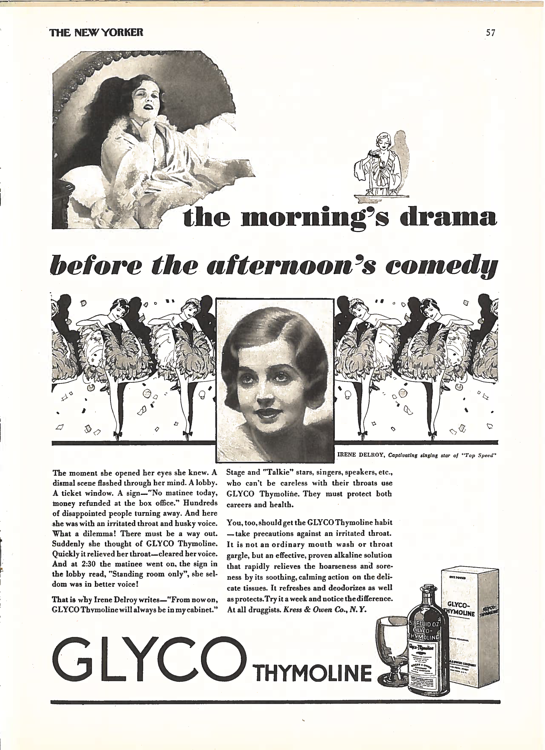 Kress & Owen Company develops Glyco-Thymoline ointment for the treatment of burns, cuts, diaper rash, and other skin irritations. Kress & Owen Company moves the Glyco-Thymoline manufacturing plant on Pearl Street New York, New York to a new modern facility in Middleton, New Jersey. 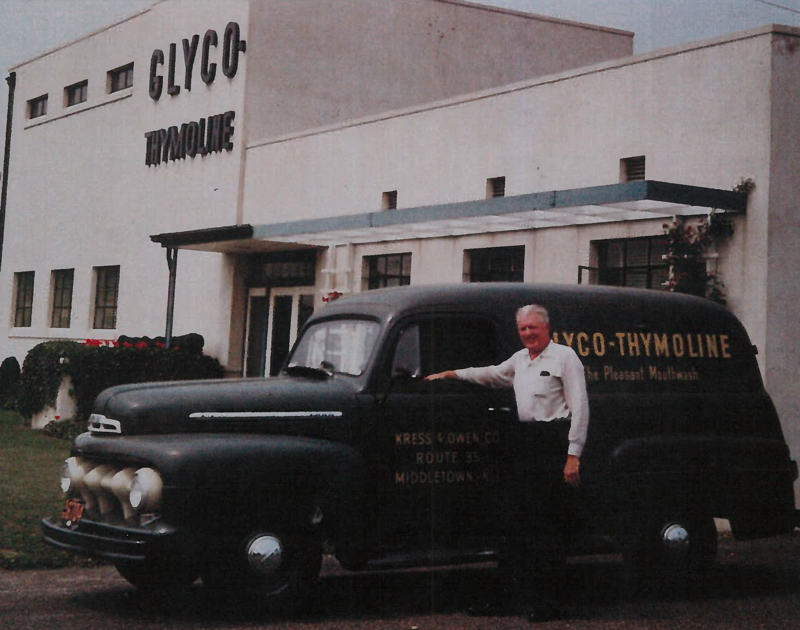 William Lee Owen, President/Owner maintains the family business for 41 years. 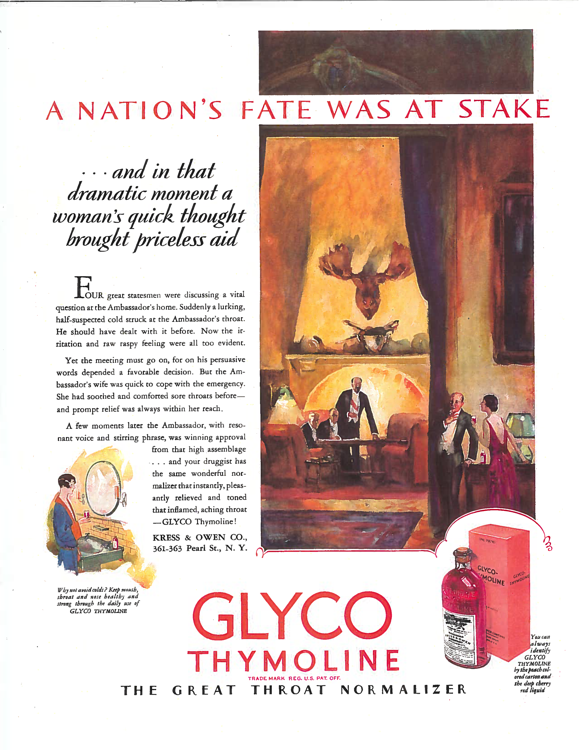 Kress & Owen Company is committed to preserving the original 1894 formula for Glyco-Thymoline. 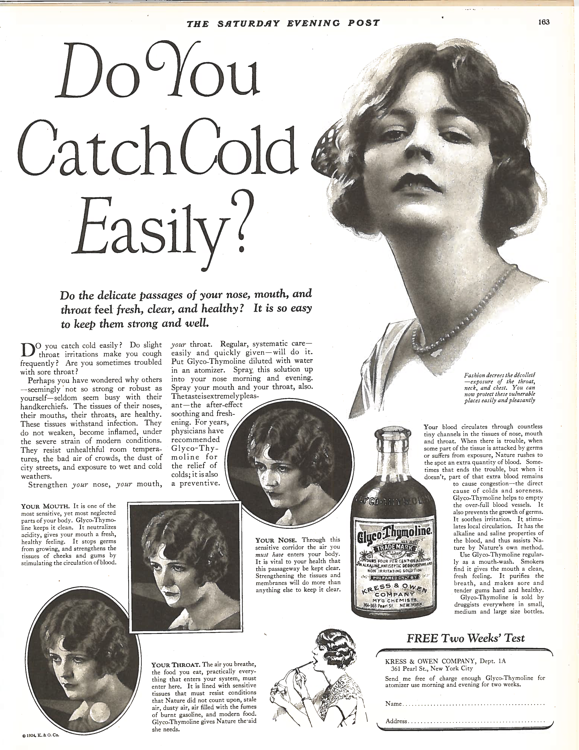 Kress & Owen Company launches the Glyco-Thymoline web site and re-introduces the 100 year old “premier” oral hygiene product. 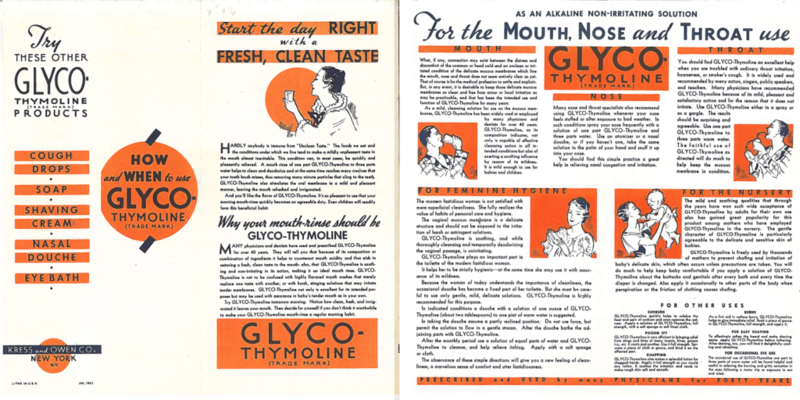 We intend to get Glyco-Thymoline back in the local pharmacy, grocery and retail stores near you. 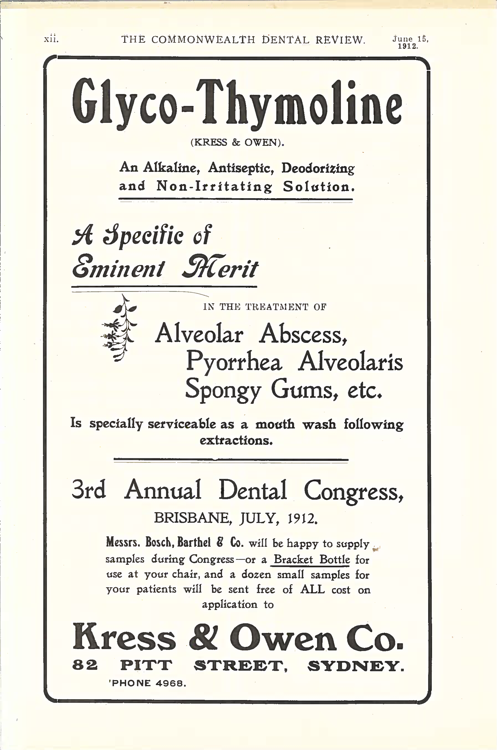 Our product has been recommended by dentists and physicians for over 100 years.